This Saturday we are pleased to offer a new first to the studio! 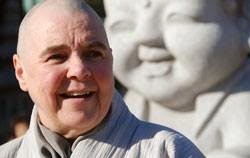 The Venerable Mujin Sunim, a Buddhist monk ordained in the Korean Zen tradition will be here to give a Dharma talk. Mujin has been teaching and practicing Buddhism for over 30 years throughout Asia and Europe, and currently lives in Switzerland. Mujin's talk starts at 2pm this Saturday July 26th with free admittance. 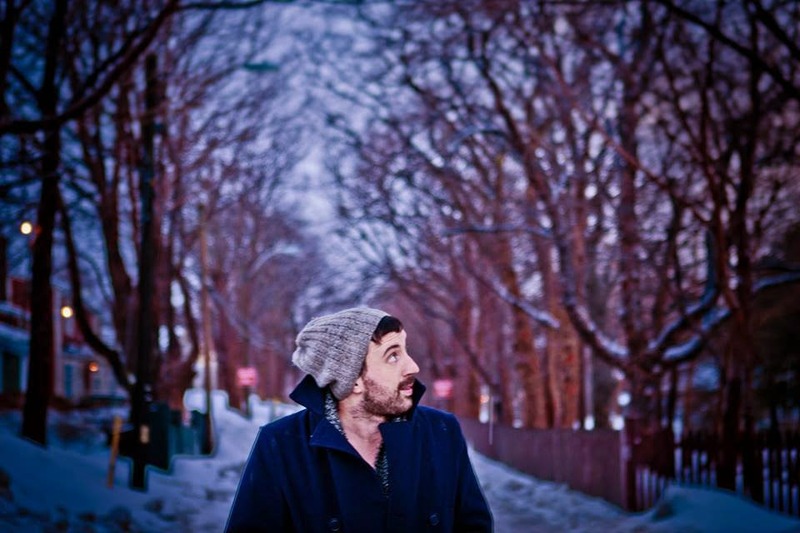 Nick hails from St.John's and was introduced to the Galliott Studios crew one night when he opened up for Matthew Hornell at the Ships Pub. It'll be another great Sunday so be sure not to miss the fun! The show starts at 8:30 and tickets are just $10. 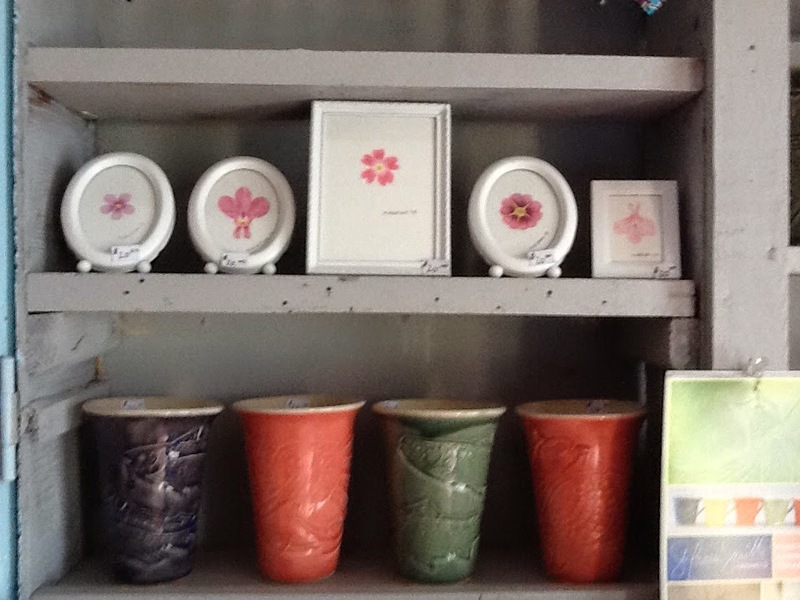 Its been brought to our attention that there hasn't been any updates on art/craft/pottery in the shop! So here is a bit of an update! It has been a slow start to pottery this year because Jennifer switched all her clays to a more durable stoneware. 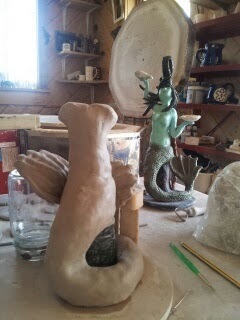 This brought on new firing temperatures new glazes and new "surprises". Because of this we haven't been offering pottery lessons, but hope to start it all up again next spring. We have attached a few pictures of Jennifer's trail and errors. If your in the area drop in and catch her at the back of the shop making a mess! Its been a ridiculously fun week here at Galliott Studios! The week was packed with great people down for two nights of concerts here in Woody Point at the old Heritage Theater. 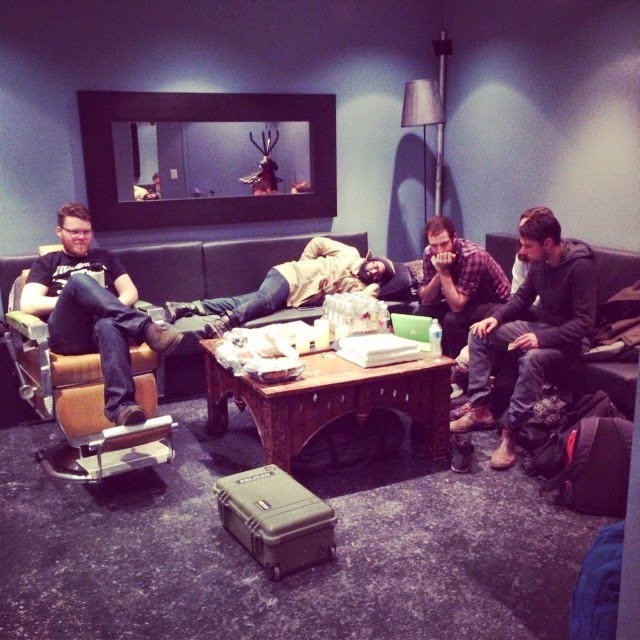 Hey Rosetta put off two amassing shows and we were lucky enough to not only join in the fun, but also keep some of our favorite musicians fed and caffeinated! The two concerts helped fund raise for the up keep of the Heritage Theater which was built in 1908 as an Orangemens lodge, and is home to an inspiring writers festival Writers at Woody Point that blends the love of story telling through literature and music. 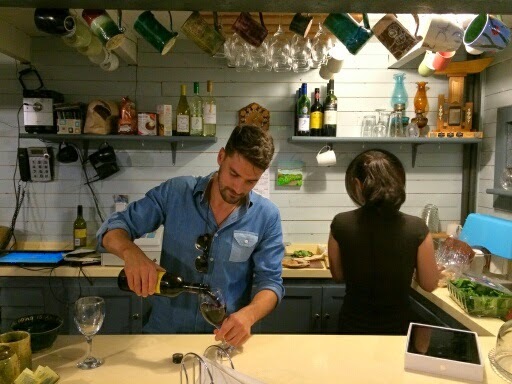 We've attached two pictures of Hey Rosetta's front man Tim Baker helping Jennifer behind the counter. 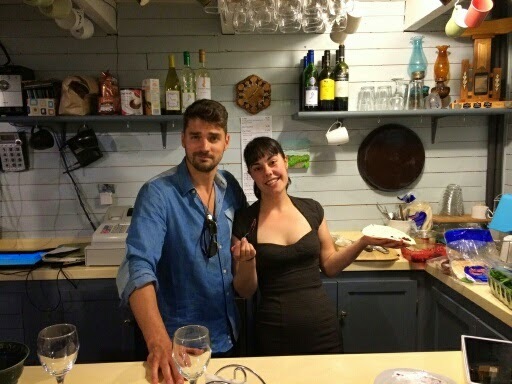 The band left this morning to ready themselves for their next show in Pemberton, B.C (http://www.heyrosetta.com/tour.html) But not before drummer Phil Maloney dropped in to help us with our local morning broadcast on the Voice of Bonne Bay. Keeping with the musical week we will be hosting the Peterborough duo Mayhemingways this Sunday at 8pm. Tickets are $10 and can be picked up at the studio or over the phone at 709 453 2142. Keep checking back for updates on the towns annual regatta where Galliott Studios will be defending their title as woman's dory boat champions as well as details on our Dharma talk with Buddhist monk Mujin Sunim! Till next time, have a great week! Its Tuesday and Hey Rosetta are in town! The Newfoundland band well be playing for two days at the Heritage Theater here in Woody Point, rumor has it that there are a few more tickets left for purchases from their website http://www.heyrosetta.com/tour.html or at the door tonight at 7:30. Its an all ages show, with beer and wine available on the upstairs level. So if you would like a beverage make sure to bring your ID! We at Galliott Studios will be open pre show and after if your looking for a great place to meet up with friends or wait for the water taxi. In the next few days we'll add some of our own pictures! 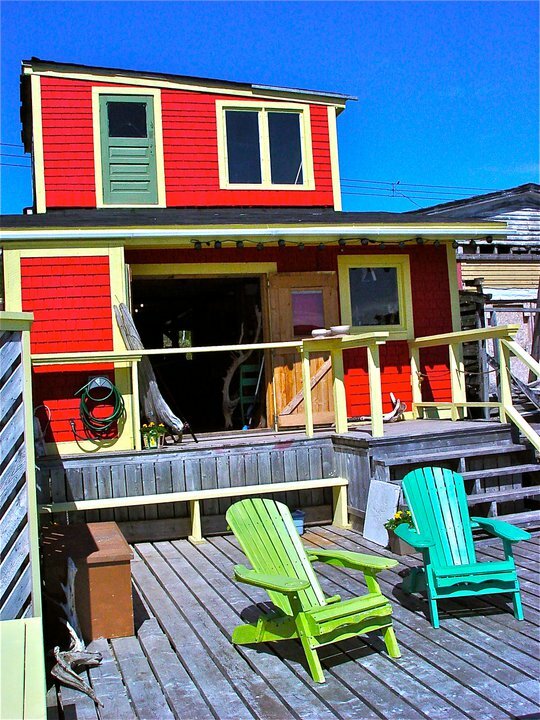 Also Galliott Studios will be broadcasting for our local radio station "The Voice of Bonne Bay" www.vobb.org on Thursday morning starting at 9am! We'll be sure to play the bands music and see if we can't have one of the members in for a bit of an interview! Matthew Hornell and Andrew Sneddon, and Team Building! Continuing our Sunday night music series we are excited to welcome back Matthew Hornell with musical talent Andrew Sneddon to the studio! These two fellas are not only charming and ruggedly good looking, but they are also very talented and put off an amassing show! Because of this tickets are going fast! To make sure you get yours give us a call at 453-2142 or drop on in to the Studio. 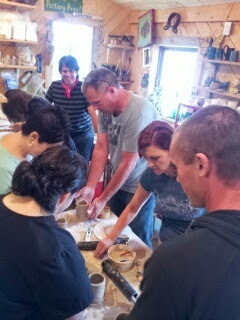 In other news we had a fun morning with the staff of Serenity on the Rock making clay mugs. The group did a team building workshop which resulted in seven beautiful mugs that each person had a hand in finishing. It was the Studios first team building workshop and everyone had lots of fun! We're eagerly anticipating another musician tomorrow night- Tom Coombes will be playing at 8 PM in the studio. Still coming off the high of Sydney's last artist talk at the studio. The weather was hot but the company was good. We've been very lucky to have Sydney and her husband John here so often. They've really become part of the community here- I've memorized their coffee orders and they sometimes drive me from Norris Point to Rocky Harbour for my other job at Java Jacks! We will be very sad to see them go next week, but we're looking forward to meeting the new artists and making even more new friends- which I believe life here is all about. 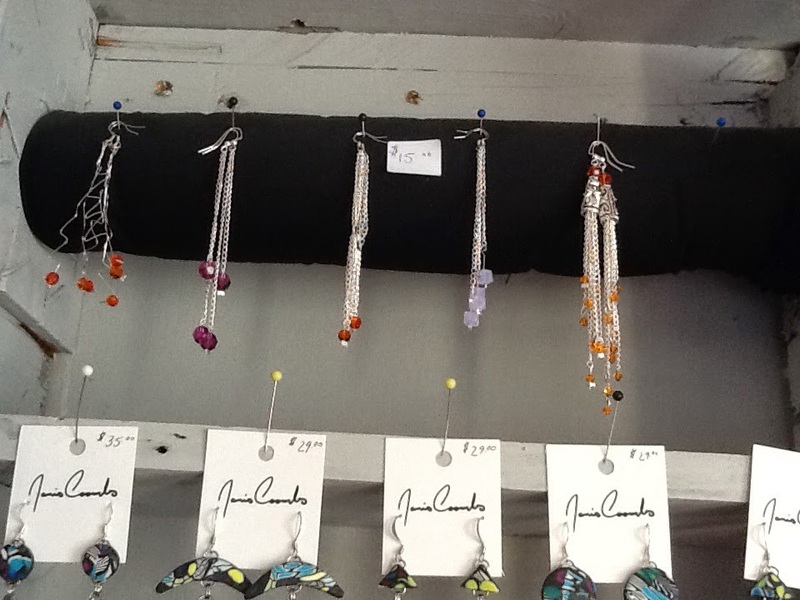 Some new stock also came in this week- five beautiful pairs of earrings by my sister Beatrice! I've been rocking a pair of them all week. 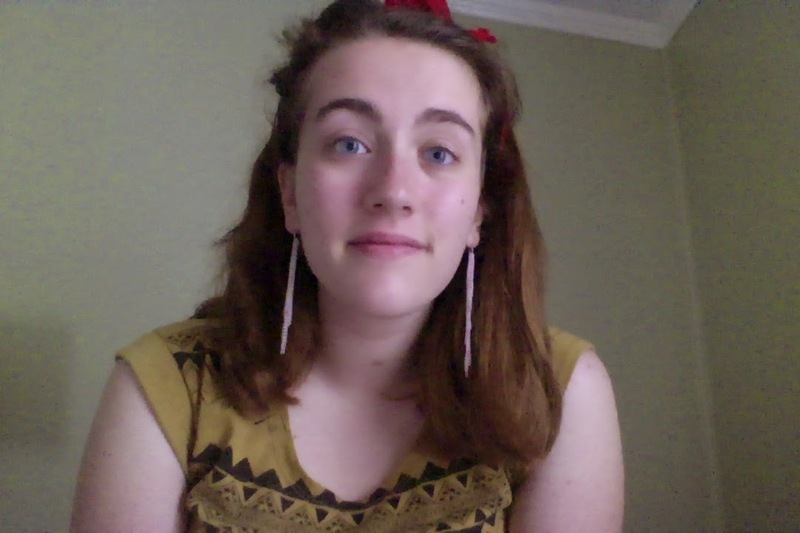 Fancy. Check out the rest of these bad boys below! I'm also pretty excited about these beautiful flower watercolours by Amanda Keeping- they're interesting pieces and small enough to adorn any crowded (or uncrowded) surface. Pictures don't quite do the detail justice, so if you get the chance, come by and have a look. Keep safe tomorrow in whatever weather and have a great Sunday!